to Christmastime delights we go. FROM SIMPLE PLEASURES of the season to time-honored traditions and radiant elegance, we suggest five splendid road trips — in Georgia, North Carolina and Tennessee — that promise to warm your heart and put some bounce in your holiday step. We start with the spots closest to metro Atlanta and venture farther afoot from there. At CALLAWAY RESORT & GARDENS in Pine Mountain, Ga., you’ll find 2,500 pristine acres that deliver a graceful, tranquil escape with natural beauty. Callaway decorates with 8 million lights in scenes and color schemes that conjure a five-mile Christmas fairyland. Buzz down for the day or spend the night. Choose from a standard hotel room, a two-bedroom cottage or a villa (up to four bedrooms). If you do go day-tripping, let it spill into the night or you’ll miss the beauty of Fantasy in Lights, now in its 27th year. Enchantment is the aim of the game. There are various holiday options and packages, but there’s no fee to enter Christmas Village, a heated 22,000-sq. ft. circus-like tent. Shop at dozens of booths (don’t miss Toy Land). Check out the entertainment and a life-size Nativity, try festival funnel cakes and fudge, or face-painting, ornament-making and Santa visits for the kids. The Village is open 4-9 p.m. (sometimes 10 p.m.) daily, including holidays from Nov. 16 through Jan. 5, 2019. Just outside the tent, grown-ups can find Jacob Marley’s Christmas Spirits, which serves such alcoholic concoctions as Ebenezer’s Eggnog. No “bah, humbug” there. To experience Fantasy in Lights directly from Christmas Village, you’ll need to pay for Callaway admission. Visitors are encouraged to bundle up and hop aboard the hour-long musical Jolly Trolley tour. You can drive your own car, but the cost per person is the same. Expect to spend $11-$35 each. Admission and Fantasy in Lights packages differ for overnight guests. With the “lighting of the village,” the most wonderful time of the year begins Nov. 23 in Helen, Ga., on the southern edge of the Blue Ridge Mountains. Live entertainment begins in the town center at 2 p.m. that day and the Bavarian-themed village lights up at 6 p.m. The year-round population of this decidedly quirky community is about 550, but Helen is billed as the third-most visited place in Georgia, following only Atlanta and Savannah, and attracting 1.5 million travelers each year. Many thousands venture to this “small town big on excitement” for its holiday ambience. They’re lured by the appeal of strolling on cobblestone alleys and poking into gingerbread-trimmed shops like HANSEL & GRETEL CANDY KITCHEN, prized for its gourmet confections like the top-selling chocolate-caramel-pecan turtles; TIM’S WOODEN TOYS; and ZUZU’S PETALS ROCK SHOP for gems, crystals and jewelry. WILDEWOOD and LAVENDER COTTAGE & GARDEN (in Sautee Nacoochee outside Helen) offer unexpected gift items. Plenty of places also sell pretty doodads and ornaments from around the world. The annual Christmas parade (2 p.m. Dec. 8) includes live bands, Tennessee walking horses, Bernese mountain dogs and floats like a “sleigh” carrying Santa and Mrs. Claus. A children’s lantern parade steps off later that day. Kids can decorate paper lanterns starting at 4 p.m. and parade through Helen at 5 p.m. to the Festhalle for a bonfire and s’mores. To see Helen’s lights, book a ride with Pegasus Horse-Drawn Carriages (arrange via text message at 706.499.1159). Visit a traditional CHRISTKINDLMARKT the weekends of Dec. 1-2 and 8-9. Vendors try to give Southerners the sense of a European holiday market. You’ll find stalls offering handmade gifts, ornaments and edible treats from savory to sweet. If you’re in the mood to eat, Wiener schnitzel, Bavarian apple strudel and such are plentiful here. Tried-and-true eateries include MULLER’S FAMOUS FRIED CHEESE CAFÉ, BODENSEE RESTAURANT, HOFBRAUHAUS and HOFER’S OF HELEN (also a bakery). Details: 800.858.8027. 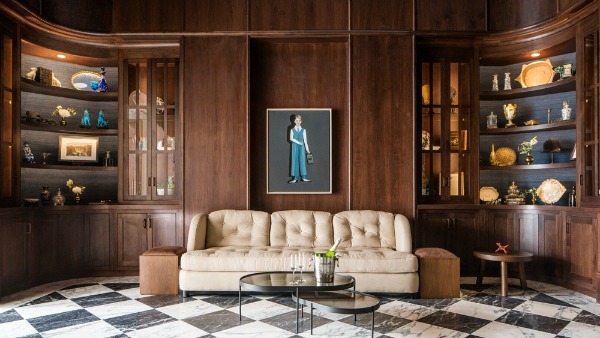 For a splurge, we suggest the Biltmore in Asheville, N.C. The 250-room French Renaissance mansion was built as a country home for George Vanderbilt III (grandson of industrialist Cornelius Vanderbilt) in the 1890s. The 175-sq. ft. chateau has 35 bedrooms, 43 bathrooms and took 100 workers six years to complete, a feat accomplished just in time for Christmas 1895. The holiday hoopla here in the Blue Ridge Mountains has become so popular that CHRISTMAS AT BILTMORE begins in Nov. 3 and continues through Jan. 6. This year’s theme is “The Art of Christmas,” so you can bet the estate’s design team has gone all out. At BILTMORE ESTATE WINERY, some 7,000 globe-shaped ornaments drip from the ceiling. The goal is to make visitors feel like they’re inside an enormous bottle of bubbly. The gothic “house,” showcasing the Vanderbilt family’s original art and furnishings, features more than 100 Christmas trees, including a 35-foot-tall Fraser fir. The front lawn shimmers with a 55-foot Norway spruce and 35 glistening evergreens. The estate, a National Historic Landmark, includes gardens designed by Frederick Law Olmstead. The INN ON BILTMORE ESTATE offers four-star lodging. The more casual VILLAGE HOTEL in Antler Hill Village is steps from shops, restaurants, the winery (free tastings), a creamery and more. The village glows 5:30 p.m.-midnight daily. Live entertainment (choral groups, instrumental duos, etc. ), perform throughout the house during day and night tours. The biggest draw is the CANDLELIGHT CHRISTMAS EVENINGS ($85-$90; $42-$45 for kids; age 9 and younger free). Reservations for specific time slots are a must. ANTLER HILL VILLAGE hosts more entertainment on weekends as well as occasional bonfires. Sleigh bells ring on horse-drawn carriage rides ($65 per person for an hour; group rates available). Call 800.225.6398. Tours of 30 minutes in an eight-passenger “wagonette” are $35 per person. Call 800.411.3812. Weekday holiday rates at the Biltmore start at $299, weekend nights at $449. Village Hotel stays starting at $249 and $379. Get general Biltmore information at 800.411.3812. Thomasville, about 30 minutes north of Tallahassee, Fla., has embraced the yuletide season like no other town its size (population: 19,000) in the state. Southern Living magazine did a 12-page spread on all things holiday in Thomasville last year. 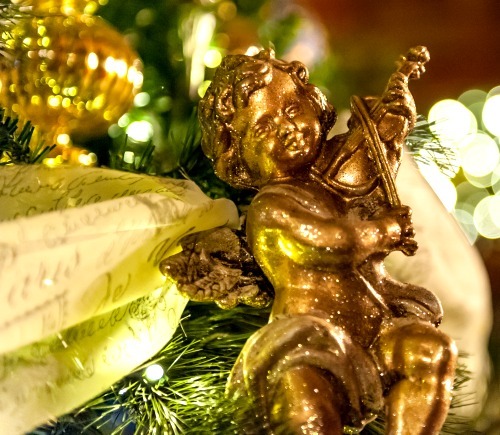 Know that you can bask in the holiday spirit here throughout December even though Thomasville’s 34th annual Victorian Christmas is just 6-9 p.m. Dec. 13-14. A living Nativity is staged by the First Baptist Church. Horse-drawn carriage rides pass by the town’s storied 337-year-old oak, which glows with luminaries. Musicians, storytellers, stilt walkers and Victorian fire performers travel brick-paved streets. Choral groups perform, chestnuts are roasted and marshmallows toasted. This year, festivalgoers can get a keepsake photo of themselves posing with a Victorian-era hot-air balloon. Shopping and dining possibilities include the FUZZY GOAT, a yarn and knitting boutique; SOUTHLIFE SUPPLY CO., known nationally for its leather goods, including belts and purses; THE BOOKSHELF for books, toys and cool gifts; LIAM’S for upscale New American food; and the fun, laid-back SWEET GRASS DAIRY RESTAURANT & CHEESE SHOP for first-rate artisan cheeses, platters and craft beer. Details on all at 229.228.7977. 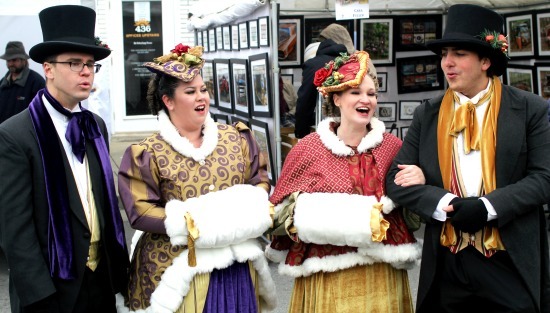 If you’d like to dust off great-grandpa’s top hat, you’ve got a dandy chance to show it off at the 34th annual Dickens of a Christmas in the postcard-pretty town of Franklin, Tenn., just this side of Nashville. This year’s event runs 10 a.m.-5 p.m. Dec. 8 and 11 a.m.-4 p.m. Dec. 9). The city’s Victorian architecture is an ideal backdrop for the days when local shops were where you found holiday gifts. Wander the Main Street area, and you might bump into Ebenezer Scrooge, Tiny Tim and other costumed Dickensian players. They’ll interact with you, delight the kids with treats and won’t break character. Dozens of specialty shops step up their game for what some call the largest outdoor Christmas festival in middle Tennessee. Enticements include live music and dance performances plus pockets of entertainment here and there, artisan demonstrations, 100 vendors selling their wares and plenty of food trucks. Kids can take pony and train rides and play Victorian-era games. At day’s end, everyone is invited to the town square to sing carols. Festgoers are encouraged to wear Victorian clothes or just accessorize in some way. Along with that top hat, you may want to pull out your ugliest Christmas sweater. There’s a contest at the First Citizens National Bank’s booth. The Dickens fest is free, but a few attractions ask a small fee. Details at 615.591.8500. Ponyboy, a Great Pyrenees from Lithonia, is ready to hit the road from the driver’s seat of his retro Karmann Ghia. His favorite vacation destination: the beach, always the beach. Photo by Wendy Palmer. Pack a bag and prepare for a tail wag. It’s easier than ever to take your pooch along on your vacation. WHO’S A GOOD DOG? Your pup, of course. And as much you might love a getaway that promises a beach splash or mountain vista, it’s heart-tugging to leave fur family behind. Pleading puppy-dog eyes boring into your soul as you walk out the door with a suitcase are real, people. We’ve got good news: Leave the guilt. Take the dog. For animal lovers, two of the sweetest words around are “pets allowed.” It’s heard more and more often these days as businesses figure out how to cater to America’s 85 million pet parents. Teen Vogue magazine this year offered a paid internship with only two duties: Travel with dogs, and post the photos on social media. Amtrak, which banned everything but service animals since its inception in 1971, recently dipped a toe — or paw, if you prefer — into the pet pool. Dogs and cats up to 20 pounds can now travel with owners on routes of seven hours or less. If a road trip with your BFLF (best four-legged friend) sounds good, the Southeast has spots that let you roll right in. Don’t chase your tail looking for destinations. We’ve done some digging for you. They’re arranged by vacation type (beach, mountain, hotel), then alphabetically by state. Three Southern beaches get a paws up from Coastal Living magazine in its list of the seven “Best Dog-Friendly U.S. Beaches.” It mentions Jekyll Island, Hunting Island State Park in South Carolina, and Fort DeSoto Paw Playground and Beach near St. Petersburg, Fla. We’ve added a few to that list, too, so read on. ALABAMA: Gulf State Park in Gulf Shores (5.5 hours southwest of Atlanta) allows dogs in its campground ($24-$57) for free and in select cabins/cottages ($152-$364 nightly plus $15 Fido fee). Leashed dogs can sniff their way through a picnic area and 27 miles of trails. A fenced dog park with its own pond and agility course lets you leave the leash behind. No dogs permitted on Gulf Shores beaches, though. To do that, go 20 miles west to Fort Morgan near Mobile. Gulf Shores details: 800.252.7275 or alapark.com/gulf-state-park. FLORIDA: Fort DeSoto Paw Playground and Beach (6.5 hours south of Atlanta) is near Tampa, St. Pete and Clearwater but tucked away in nature. It’s attached to Fort DeSoto Park, twice named America’s Best Beach by TripAdvisor. You and Rover can camp together and romp in the waves. He can make friends in fenced areas where size matters — little pups and big dogs each get a designated yard. Details HERE or at 727.852.2267. If you want to play but not stay at the park, go 11 miles north to Madeira Beach (“Mad Beach” to locals) and get comfy in a pet-friendly condo or cottage (about $100 nightly). Dogs aren’t allowed on Madeira Beach, but it’s between Fort DeSoto and dog-friendly Honeymoon Island, 23 miles to the north. Madeira details HERE; Honeymoon Island details HERE. GEORGIA: Jekyll Island and nearby St. Simons (about 5 hours southeast of Atlanta) let dogs on beaches with a few restrictions. St. Simons’ East Beach prohibits pets from 9 a.m. to 6 p.m. all summer. They’re OK on or off leash for early-morning and evening walkies. Jekyll’s beaches, long known as a bring-your-pup paradise, welcome leashed dogs all year long. Choose from dozens of lodging choices, including the Westin Jekyll Island ($222 nightly) and the Hampton Inn & Suites Jekyll Island ($152 nightly plus $75 pet deposit). Details: goldenisles.com. Dogs are strictly prohibited on Tybee Island beaches (fines are a yowl-inducing $290 plus court costs), but congenial canines can cruise with you aboard Captain Mike’s Dolphin Tours ($8-$18). Spend the night with your mutt at the Atlantis Inn Tybee Island ($89 and up nightly for pets up to 15 pounds) and the Dunes Inn & Suites Tybee Island ($100 and up). Both charge $25 per pet per night. The Sandcastle Inn ($114 and up) allows dogs of any size for a $25 one-time fee. It also has Tybee’s only saltwater swimming pool. For humans. Despite beach restrictions, Tybee (18 miles from Savannah and four-plus hours southeast of Atlanta) is a pleasant place for pet people. It’s laid-back, family-friendly, not overdeveloped, the eclectic neighborhoods are fun to walk and bike, and you’ll find gorgeous marshland views. Tybee details: tybeeisland.com. SOUTH CAROLINA: Drive the doggo to Hunting Island State Park (about 4.5 hours southeast of Atlanta) for a low-country vacation on a semitropical island. Camp here and walk or run 5 miles of beaches. 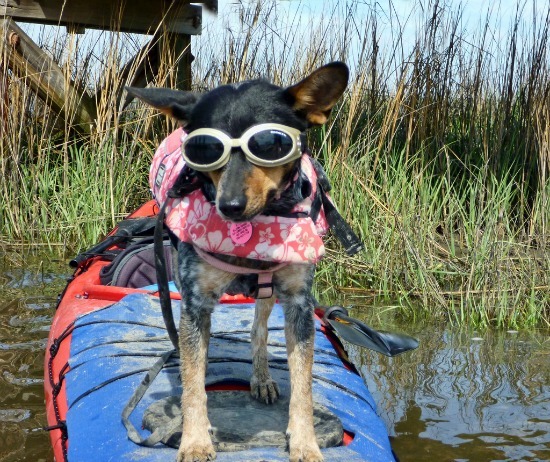 If your pooch prefers not to “ruff it,” stay in Beaufort, 20 miles away. The boutique City Loft Hotel ($170 and up) charges $22 nightly for dogs up to 80 pounds. The Cuthbert House Inn ($190-$290 nightly), an antebellum mansion turned bed-and-breakfast, charges a one-time pet fee of $50. Hunting Island details at 843.838.2011; Beaufort details HERE or at 843.525.8500. Charleston was voted “Best City for Pet Travelers 2016” by readers of GoPetFriendly.com, nosing out Florida’s Port St. Joe, the previous winner. On popular Edisto Island (30 miles north of Charleston, 5.5 hours from Atlanta), dogs must be leashed on the beach May through October; it’s your call whether to tether the other months. Charleston details HERE; Edisto details HERE. If dogs could, they’d give mountain adventures two thumbs up. It’s often cooler than sea level for those with a fur coat, with plenty of room to roam. North Georgia offers lakes, waterfalls and hours of hiking (including 76 miles of the Appalachian Trail). Take a picnic, and don’t forget to allow time for sniffing every little thing of interest. GEORGIA: The Last Resort in Blue Ridge (93 miles north of Atlanta, $125-$200 nightly) allows pets in most mountain cabins for $10. For humans, every cabin has a hot tub. For fishing fans, there’s a lake full of trout. Ellijay and B.J. Reece Orchards are 16 miles away. Let Fido help you pick whatever’s in season and sample goodies from the bakery. SOUTH CAROLINA: Barking Fox Farm, a 43-acre horse farm in the foothills of the Blue Ridge Mountains (3 hours north of Atlanta) offers two guest cottages. One has a deck overlooking the pasture; both have whirlpool tubs and full kitchens. Four-footed travelers are greeted with biscuits and a cushy pet bed. Details: 864.457.7300. More and more chain hotels are accepting pets, including Four Seasons Hotels and Resorts, LaQuinta and Kimpton Hotels. Kimpton is so welcoming, in fact, it’ll offer you a fish for your room if you arrive without a four-legged friend. At Loews Hotels, VIP means “Very Important Pet.” The national chain introduced the first pet guest program 18 years ago with its “Loews Loves Pets.” Amenities rival perks for humans and include a room-service menu for dogs and cats; food prepared on-site by the hotel’s culinary team; pet beds and litter boxes; mapped dog-walking routes; and list of dog-friendly eateries. If your fur-child stares at you expectantly because there’s no rawhide bone or scratching post nearby, those are available, too. Loews allows up to two pets per room. Expect a one-time fee of about $75 at properties in Atlanta, Nashville or Orlando. You even get a “Pet in Room” sign for your door so everyone knows that’s not you snoring. Details: loewshotels.com/loews-loves-pets, loewshotels.com. Run to BringFido.com (or get the app) to find more than 200,000 pet-welcoming places to stay, dog parks and more. Likewise GoPetFriendly.com. Take your dog on vacation. Loyalty should be rewarded.